Being a proud QC native, being born and raised here has it's perks. You get to witness history unfold as institutions like Manuel L. Quezon University roll out their 69th Commencement Excercises. Criminal Justice, Law, Architecture and Graduate Studies, they've got it all. As former Speaker Sonny Belmonte puts it, they've just started to be "inspired" to be better, even surpass the people who have graduated in the same institution who have made the university and the country proud. 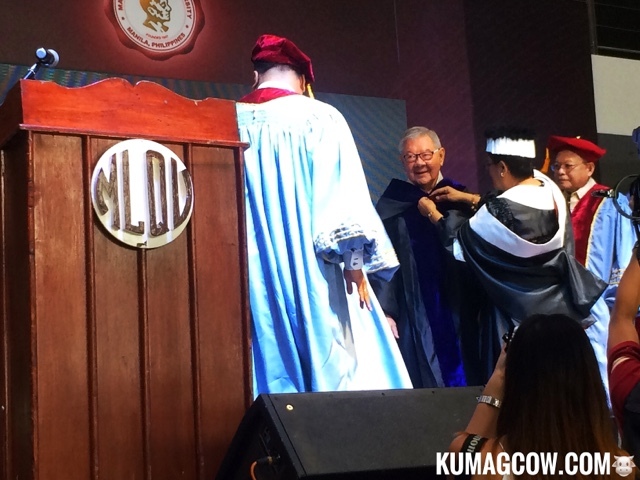 Former Speaker Sonny Belmonte was also given an honorary degree of Doctors in Public Administration (Honoris Causa) by MLQU. Then they started calling them one by one on stage to accept their diplomas. 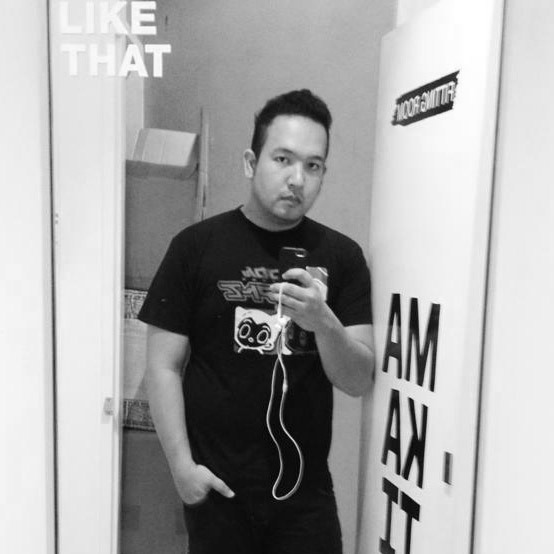 It was a little nostalgic, I could almost feel like it was my own graduation. The parents were all teary eyed seeing the accomplishments of their kids, some spouses too, as they have endured years of education in the lovely new MLQU School along EDSA. Honestly, I could see that most of these guys are either from middle class to low income families but they're very determined to see them all graduate no matter what the odds are. I was actually surprised how these guys and gals came from different parts of the country. 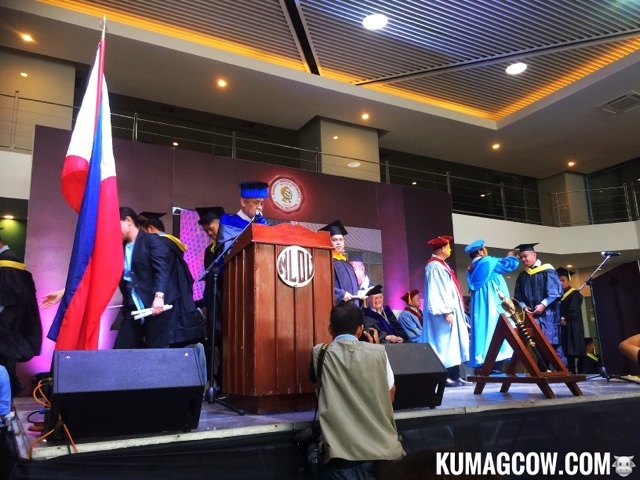 It was also nice to see Speaker Sonny Belmonte (my own Congressman) being conferred honors by University Chairman Dr. Jose Rizalino Acuzar and University President Dr. Isagani G. Germar. I've seen how he's worked so hard not just for our district and city but also the country. 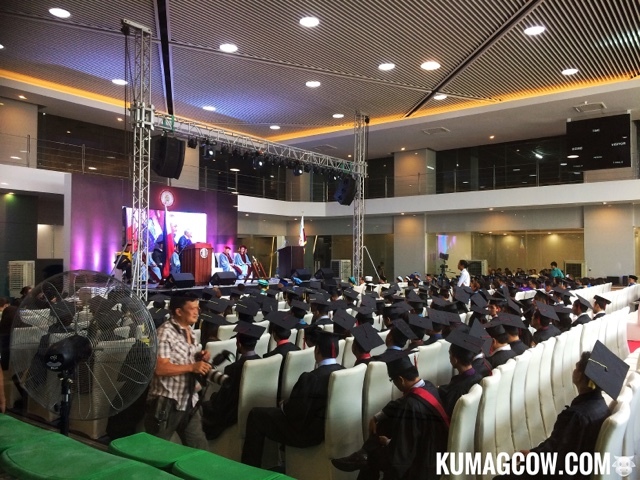 There are tons of Justices, Lawyers (and board topnotchers), Architects, Business People and professionals have graduated from MLQU and they're actively growing in numbers. They are not just going to be making a name for their alma mater, but prolly the country as they'll be the leaders next in line as every MLQU Graduate should be. That just kept me thinking about getting graduate studies myself since I live very near their new campus. Congratulations graduates! Congratulations to MLQU too for honing these youngsters, they're raring to go and work now!